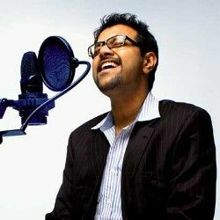 Rahul Nambiar (Malayalam,Tamil,Telugu, Kannada) is an Indian playback singer and live performer. An MBA and M.Com-graduate, he won the Swapthaswarangal show in 2001 and began singing live. He later ventured into playback singing, performing for many leading South Indian film composers in various languages, while also launching an independent band named Rahlaap with bass player Aalap Raju. 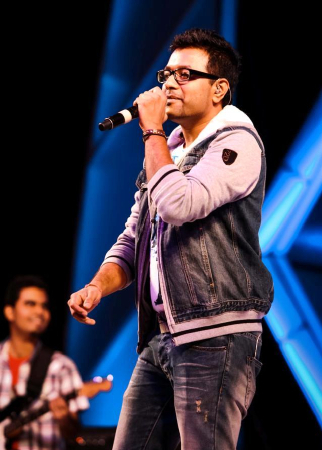 he won the Sun TV Sapthaswarangal contest, beating 3000 contestants, following which he decided to pursue a singing career.Rahul was introduced as a playback singer by Vijay Antony in the Tamil film Dishyum.Rahul has performed more than 400 live shows around India and abroad,and over 350 songs for films, most prominent ones being Mani Sharma's ""Vasantha Mullai"" (Pokkiri), Yuvan Shankar Raja's ""Adada Mazhada"" (Paiyaa) which fetched him his first Filmfare nomination for the Best Male Playback Singer Award,In 2012, he won his first Filmfare award in the Best Male Playback Singer Award category for Thaman's ""Guruvaram"" song (Dookudu). He has also lent his voice for several ad jingles. 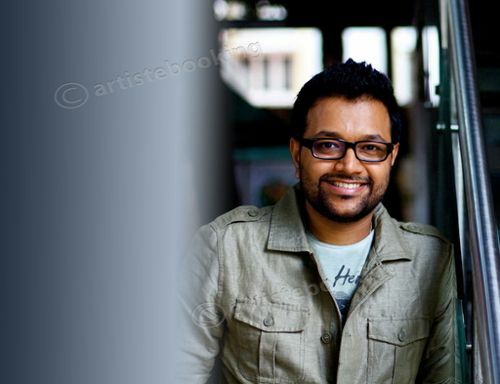 Why Book Rahul nambiar Through ArtiseBooking?